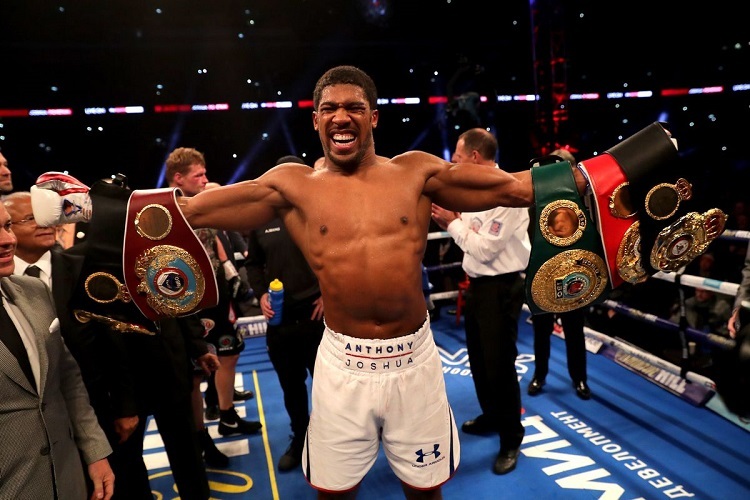 Heavyweight champion Anthony Joshua retains his IBF, WBA and WBO heavyweight titles by defeating Russian Alexander Povetkin with a 7th round knockout at the Wembley Stadium in London. The 28-year-old Nigerian born boxer had a shaky start as the smaller 39-year-old Povetkin caused problems, delivering a devastating uppercut to Joshua’s nose late in the first round. The more the fight went on, the more Joshua gained in confidence, landing a couple hard shots into Povetkin’s body before gradually working his way up. In the seventh round Joshua sent Povetkin to the canvas with hard right hand to his jaw. The Russian somehow got back on his feet but was instantly hit with a brutal right-left combo before walking into a huge left hook that sent him to the ropes. At this point the referee intervenes and stops the fight as Joshua celebrates his victory. This was Joshua’s sixth defence of his IBF title, third of the WBA and first of the WBO, while the Russian Povetkin (34-2, 24 KOs) suffered his second professional defeat, first by stoppage.